Sweep away the gathering blues and draw your organization closer together. Gear up for for a year's worth of excitement and announce your latest annual event with the Blue Year Invitation. 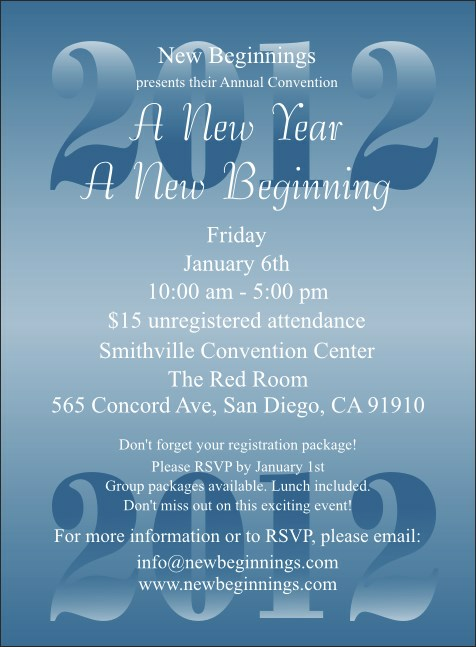 Delicate waves of baby blue form the rolling Year background on this template, with your event details in white. For the event of the year, spread the news with TicketRiver.com.au.